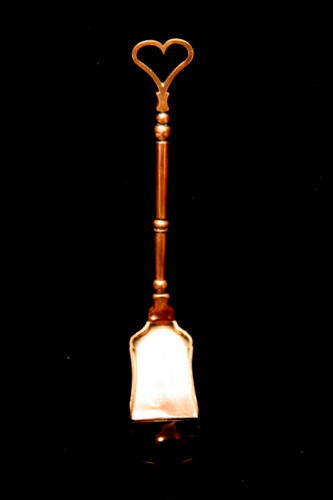 Very Nice and unusual English Late 18th Century Copper Diminutive Fire Place shovel "Love Token" intialled "BB". This charming Little Fire Tong type shovel with Heart shaped Finial must have been made by a skilled metal worker as a love token for his beloved. I think its similar to a love spoon but in metal, utilising the trade of the maker.